Turquoise Cay Boutique Hotel offers Island Elegant Bahamas Wedding and Honeymoon Packages that are one of a kind. One of Exuma’s newest luxury hotels, Turquoise Cay is where visitors find the finest combination of Caribbean charm and extraordinary service. Offering the best of the Exuma Island Experience, Turquoise Cay is intimate providing beautiful, private 180 degree turquoise water views. Stunning private and secluded wedding ceremonies and receptions are available all at one venue. This luxury island setting and gracious hospitality combine to make your Caribbean wedding and honeymoon an unforgettable experience. An inclusive Bahamas wedding experience from Turquoise Cay offers unsurpassed attention to detail. As your Bahamas wedding planner, our team will ensure every facet of your wedding day is seen through with precision and grace. Photos courtesy of Donna Von Bruening. Marry amid the turquoise toned waters, romantic breezes, powder soft sand and warm tropical sunsets only the Bahamas can offer. At Turquoise Cay, we are happy to propose ceremony experiences that are intimate and relaxed for the bride and groom. However, a custom celebration with your closest family and friends is always an option as well. Government fees for marriage licence, two affidavits of singlehood and marriage certificate are not included in package. These fees are subject to change. Perched on a private, secluded spot is one of the Bahamas’ most exquisite locations for Bahamas Destination Wedding and Honeymoon Packages. Chic Bahamas Weddings will arrange for you and your guests to enjoy your ceremony in this idyllic island elegant setting with the magnificent turquoise water in the background. 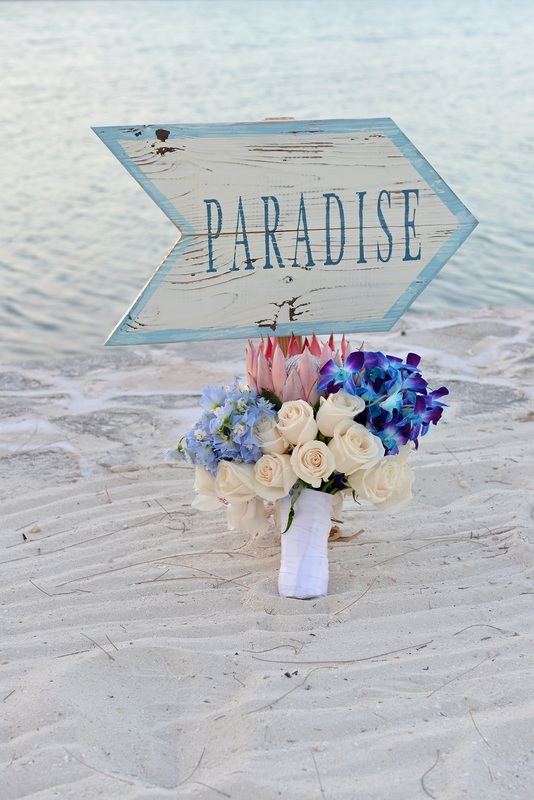 We arrange every detail for your destination wedding Bahamas weekend.